Hart apologized to his wife, Eniko, earlier this year. 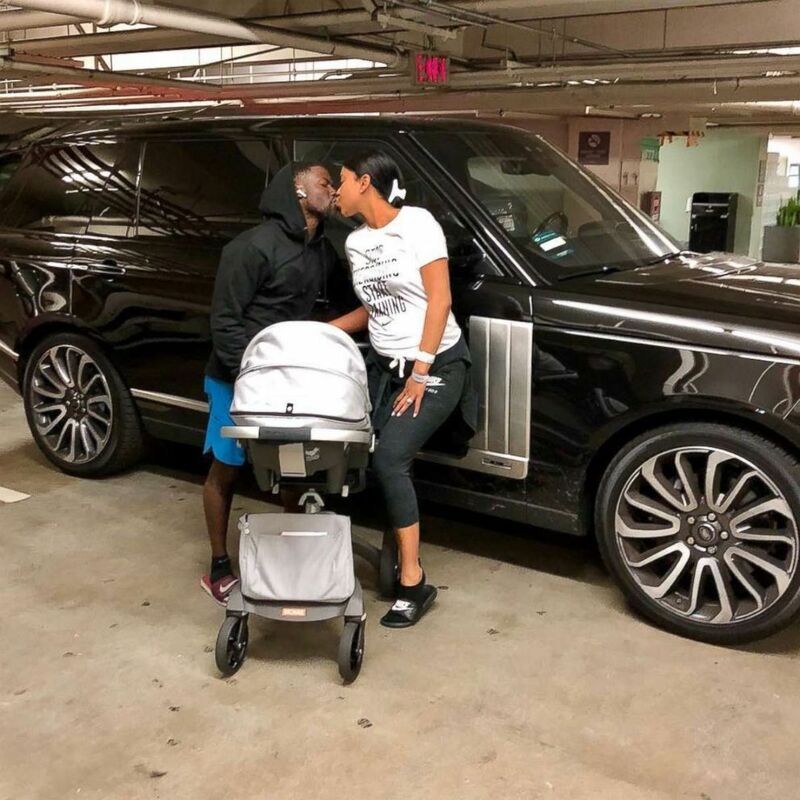 Three months after posting a public apology to his wife and kids on Instagram, Kevin Hart is opening up about his infidelity and why he now believes he's a better man for his family. Hart, 38, said in a lengthy interview on Power 105.1 FM's syndicated morning show "The Breakfast Club" that cheating on his wife, Eniko, was "beyond irresponsible." "That's Kevin Hart in his dumbest moment. That's not the finest hour of my life," he continued. "With that being said, you make your bed you lay in it. You can't say what were you thinking, because you weren't thinking." 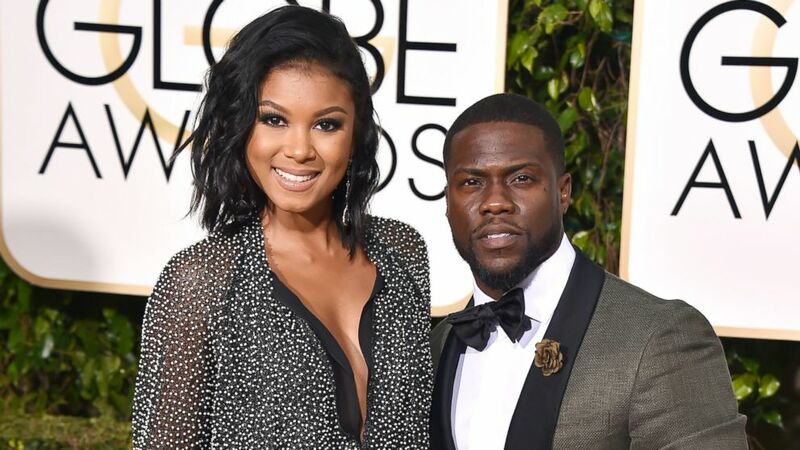 ( Jordan Strauss/Invision/AP) In this Jan. 10, 2016, file photo, Eniko Parrish, left, and Kevin Hart arrive at the 73rd annual Golden Globe Awards in Beverly Hills, California. Once footage of him with another woman surfaced earlier this year, he immediately went home to address the situation with his wife, the "Jumanji" star said. I'm sorry that I disappointed you guys. "I'm going to make my wife fully aware of what's going on in the situation that I have now put us in and I'm hoping that she has a heart to where she can forgive me and understand that this is not going to be a reoccurring thing and allow me to recover from my f------ massive mistake. That's what I'm trying to do not only as a man, but with teaching a lesson to my son," Hart added. Hart recently welcomed his newborn son, Kenzo, on Nov. 21. It was his third child -- he also has a daughter, Heaven, 12, and a son, Hendrix, 10, from a previous marriage. The comedian, who's set to host "Saturday Night Live" this weekend, said he was thankful that his wife stuck by him. Still, her choice to remain in the marriage doesn't mean she gave him a pass. "My wife is not a f------ rug. Listen, my wife is not a rug. That woman is a woman. She is real," he boasted. "Nobody sees her really talk. I know that woman. That woman, when she sees red, she sees red." Later in the interview, Hart apologized again for his misstep. "I'm not only extremely sorry to her, I'm sorry that I disappointed you guys," he said. Hart said that after his infidelity, he's now a "better man." "This straight line that I'm walking on now, there are no moments to be off-balance. There are no more shots. There are no more chances. I'm done. I'm done! I don't want that level of fun no more, I don't need it," he said. "I'm on some grown man different s--- where if it doesn't involve my family, I'm not interested."